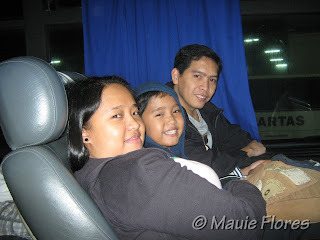 From Bacolod City, we went to La Castellana to visit more of my husband's Negrense relatives. We only stayed in our Ninang Judith's place for one night since we had plans the next night in a beach resort. 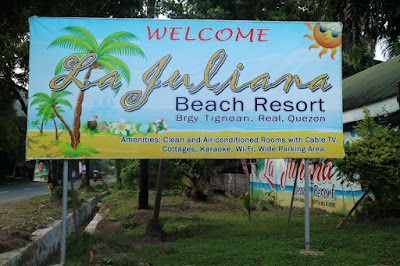 We were brought to Canonoy Beach Resort in nearby Hinigaran town. After more than 30 minutes of driving from La Castellana to Hinigaran, we arrived at the resort around 9 in the morning. We reserved two rooms (one cottage) for Php 3,000 since we were staying overnight but check-in time was 2 p.m.. While waiting for the check-in time, the staff let us stay in one gazebo fronting the beach. The resort reminded me of one of the less popular beach resorts in Cavite and Batangas. There was nothing much to see and experience there. I'm glad we enjoyed our time with our relatives eating and chatting the afternoon away. After lunch, we finally settled in the cottage that was assigned to us. Another so-so room that made me feel bad for paying 3,000 bucks each. The room was unsecured because the windows are easily opened from the outside. Come evening, we discovered that one of the porch lights were busted and the staff wasn't even able to change it. They don't have a spare bulb, daw. To add insult to the injury, we lost water supply at 8 in the evening and we had to walk around the dark resort to ask the staff to switch the water pump back on. They did not realize daw that there were people staying overnight. Duh! Honestly, a beach that is not as remarkable as the others we've been to is totally fine with me. What bugged me was the poor service and facilities this resort had. It could have been a total waste of time if not for the company we were with that time. Should I advise you to go to Canonoy Beach Resort? Yes, only after checking out the other resorts in the area and if you are only staying during the day. It would be best to drive a little further to Sipalay City where the white sandy beaches and the best dive spots are. where can I see the room rates?? What a relaxing family bonding.. I am excited as always when we have summer of town vacation. hello pwd nio po ako book jan.30 just one night lng po and how much..